8 Ways to Create an Attitude of Gratitude in Our Children. We hope that you had a wonderful Thanksgiving! Holidays are a busy, busy time for us parents – preparing meals, preparing our homes, and preparing our pockets for the extra expenses! But of course, you still found the time for what is at the heart of Thanksgiving…giving thanks, right?! We each may have practiced different holiday traditions and ways to give thanks, but one thing’s for sure – expressing gratitude is a mood saver for us all. Having a grateful outlook on life obliterates roadblocks and paves the way to a full, happy life, as Melody Beattie stated. Why do you think everyone’s so happy on Thanksgiving? Because we’re reminded to give thanks for an entire day! Okay, maybe it has to do with a little more than that…but studies indeed show that expressing gratitude has numerous positive effects! CHICmom urges you and your family to continue in yesterday’s thankful spirits today, and every day…especially while you’re out scrambling to find the latest in fashion, gadgets and toys for your loved ones on this busy Black Friday. As parents, it is important to lay the foundation for the road that leads our youth to full lives. Therefore, we must make thankfulness habitual. And CHICmom is here to help! Here’s a list of 8 kid-friendly tips to cultivate good habits and help mold thankful, grateful, humble little citizens of the world! 1. Involve your child in your finances! Don’t dismiss this idea just yet! 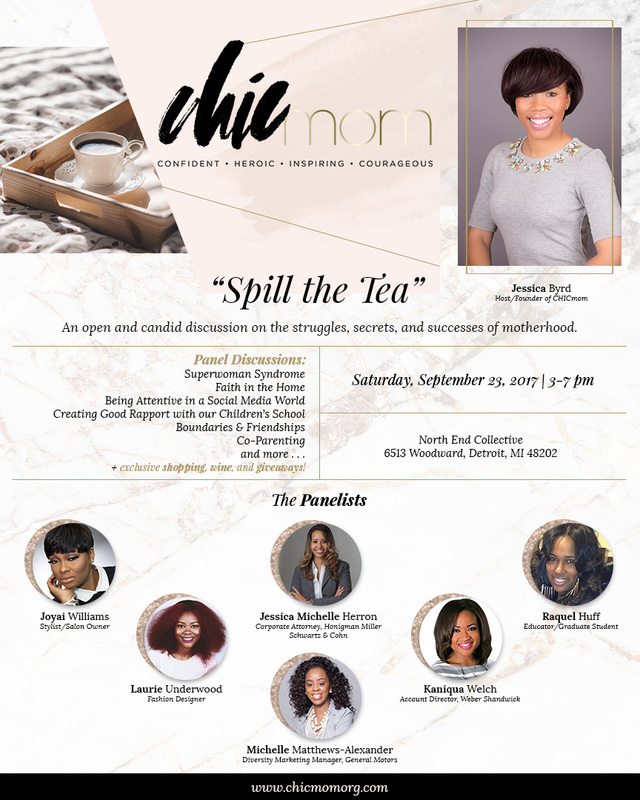 It is a borrowed concept from a panelist of our 2017 CHICmom Spill the Tea event, and she proclaimed that it worked wonders for her children! What’s more, I recently learned, from an interview she did with Robin Roberts, that Michelle Obama was a product of this very teaching! I mean, sure, it negates the old faithful saying, “Because I said so!” but our panelist argued good points and certainly convinced me. The idea is to bring home your check in cash along with your physical house bills or print outs of different expenses (clothing, activities, etc.). Have your child(ren) help allocate the appropriate amount of money and set it beside each bill/expense. Your child(ren) will witness the original “stack” of cash shrink as they physically distribute funds to ensure that each of their needs are met. In return, they will begin to see the value of your hard-earned money and will grow appreciation for the things you can do for them as well as for the things you cannot (or will not) do. 2. Show him/her an attitude of gratitude, firsthand! Obvious? Yes. But how many times have you found yourself expecting of your child(ren) what you forget to do/won’t do, yourself? As you’re still counting on your fingers, let me just jump to the point! Children learn by what we do and less by what we say. If your child shows kindness, always reciprocate. Show your child(ren) that you appreciate him/her daily through communication, small gifts, or acts, which can be as simple as giving your time. 3. Have your child give to a child in need! Your child donating toys or other personal belongings is a big deal! As we all know, children cling to their things like no one’s business! Donate things your child no longer needs or wants, but be sure to include a special toy or two. Take it a it a step further and have him/her physically deliver the items to a little girl or boy in need (when possible). This will help him/her connect with others while being thoughtful and selfless. True, volunteering at the local shelter, for example, isn’t the most glamorous or fun activity for children, but it helps his/her capacity for gratitude grow in more ways than one. Once pushed out of his/her comfort zone, your child will experience mental, emotional and spiritual growth. He/she will also develop a sense of community and pride when the results of the kind act is visible through his/her labor or through the tears of joy on the face of a recipient. 5. Use your child’s strengths! What I mean is, after you’ve learned his/her unique strength, utilize it to involve your child and make him/her feel helpful. Being helpful leads to a sense of gratitude. If your child is great at decorating the house for the holidays, let ‘em! Call on him/her in your time of “need,” and be sure to thank your child and also praise the wonderful job he/she has done! 6. Set expectations when shopping! It helps before making a fateful Target run (I say fateful because Target is no good for our pockets, lol) to actually tell your child, “Today is a ‘look’ day…“window shopping” only,” or “Today is a one-item-only” day. Having that dialogue with your child actually makes a HUGE difference, and helps him/her be grateful for purchasing days. Be sure to have more ‘look’ days than purchasing days as this will also aid in the development of gratitude. 7. Teach the value of earning and contributing! Go the old fashioned way! Have your child earn an allowance and actually contribute $1-$5 a month toward a monthly reward, the family travel fund, or a desired toy. While creating a sense of responsibility, it also teaches the value of money and will help your child appreciate the activities he/she does and the things he/she has because they have contributed their hard-earned money. 8. Create a daily routine! Again, gratefulness must become habitual. Borrow (or create) a saying, or decide on an engaging activity to commit to daily that will inspire thankfulness. For instance, at the start of each day, you and your child can say, “Today will be a wonderful day, I am thankful for it already!” Another example is to have him/her state one thing to be grateful for at dinner time. We’ve adopted this idea from our very own CHICmom, Shanika Dennis, who has already created a terrific routine with her daughter, Mariah! We appreciate you, too, Shanika! We appreciate all of our readers and we hope you found these tips to be beneficial. I encourage you to actively work on instilling a sense of gratitude in your child(ren), not just in the days surrounding this holiday of giving thanks, but every day! In helping your child live a life of gratitude, you will ultimately alter how he/she views and responds to life’s twists and turns. By helping shift the focus in a more positive direction, your child will begin to appreciate life’s current blessings and learn to accept the things that cannot change; your child will experience more joy and be better prepared for life! Wishing you and your family a life full of happiness today and always! Brittany Marie Banks is a proud mother, entrepreneur, freelance writer and editor, and a member of our CHICmom organization. Brittany Marie absolutely adores being mommy to her soon-to-be four year old baby girl, Isabella Marie. She joined CHICmom in hopes of finding a sisterhood for both herself and her daughter, and recently joined our board of directors as communications chair. With a true love of storytelling, Brittany Marie “Creates Beautiful Illustrations with Words” through her business, Amor, Bri Marie LLC. From comprehensive coaching to immaculate edits, she crafts professional and creative literary content to seamlessly convey your brand, story, skills and ideals. Visit www.amorbrimarie.com to learn more. Our Communications Chair, Brittany Banks had the opportunity to interview Christina Brown, founder of LoveBrownSugar, which is a digital media platform focused on empowering and inspiring women of color. LoveBrownSugar has evolved from strictly functioning as a blog to now including a second digital media platform called BabyBrownSugar (centered around motherhood), and a digital empowerment community called BrownGirlsLove. Christina is an awesome resource for women who want to rock it as both mothers and businesswomen – whether working a 9-5 or operating a business/brand – she's the epitome of what it means to be a CHICmom ! Check out the interview below to discover how the mommy of two with a thriving brand and twenties of thousands of followers does it! Brittany Banks: Christina, tell me a little bit about the woman behind the LoveBrownSugar vision. How would you sum up your overall role as an influencer? Christina Brown: Everything I do is to uplift and empower women of color in the media. I want to see more of our faces and more of our body types represented, and I want to combat the myths that we’re not beautiful because we have dark skin, curly hair and we’re curvy. Also, my goal is to really tap into my purpose and make sure everything I’m doing is in alignment with God’s plan for my life. There are so many amazing things that will come to you if you just listen to who you are, what you’re really good at and what you have been placed on this Earth to do…I’m just a person but I also consider myself a resource. If a person is starting a new business or brand, for example, they could come to BrownGirlsLove Power Day (occurring the first Saturday of each year) to learn of tools and resources and hear from influencers, business owners and creative entrepreneurs. I also do consulting. So if they already have a small independent company, they might want to reach out to me about marketing strategies, as well as website and social media content strategies. I want to be able to service more people and grow my business more, but at the core, I just want black women to succeed. That’s why I do what I do. BB: What are your arrangements with your two children? All of us mommies have different lives and lifestyles…maybe some of our readers will gain insight to know it’s possible and it is “okay” to leave our kids behind and travel whether for business or pleasure. CB: Every situation is different. It just depends on your village. I have amazing friends and family that will step in when I have to travel for business and whatnot. At the end of the day, moms in particular should be comfortable with asking for help. During the baby shower, for example, you’ll have people who say, “If you ever need help…” and then you never cash in that favor. As women of color, we think we’re super women and we can do everything, but we just can’t! Put those plans together and ask for help! If you can’t get the help, bring the kids and get some alone time while away, if possible. BB: I myself struggle in that area. I don’t think I’m supermom, but I just don’t want to be a burden…But, then there were those many times that I reached out and was denied, even when it involved taking care of business. It can be discouraging, and it also keeps you in that state of mind that says you have to figure it out alone. I’m sure a lot of our readers can relate to this aspect of motherhood. CB: Yea. I think, at the end of the day you have to be honest with yourself and with others about what you’re trying to accomplish. If your mom, for example, never shared in your dreams of entrepreneurship and doesn’t support it…maybe she isn’t the best person to ask for help when it comes to your business. Maybe it’s your friend instead. Even when it comes to self-care…if you have someone in your life who doesn’t even take care of themselves in that way, of course they’re not going to watch your kid(s) so that you can take care of yourself, right? Pray about it. God will send someone to support you. I just want moms to know that it’s possible. Listen – keep asking. And if that doesn’t work, get a new village or add people to your village who understand what you’re trying to do. BB: Really great advice. So, you mentioned traveling with the little ones. Have you brought your kids along when you’ve traveled for business? Is there a nanny service that you’ve used that you can suggest to our readers? CB: Great question. My daughter Cadence is 4 and Colton is 8 months. When Cadence was first born I used to take her with me everywhere. I remember when she was maybe 6 months old or so, and I had a business trip. She was so young; I was still breastfeeding and I did not want to leave her. So, I bought my mother a plane ticket so she could watch my daughter while I worked. There were other times. For example, I had a client meeting in Portland a few weeks ago and I had arranged childcare for both kids, but unfortunately my son’s sitter fell through at the last minute. I had to readjust. I called the airline and added an infant ticket and used this app called Bambino. They basically geo-locate babysitters, and you can read reviews and view their background checks…so, I ordered a Bambino who could sit for me nearby while I took care of my business. BB: That is so progressive – I love it! CB: You just do what you have to do, you know? BB: True. Really good mommy hacks for our readers! What about when you were first starting out in your career? How was your role as a mother affected or how did your role as a mother affect you getting started? CB: So what’s interesting is that I had a 9-5 career. Maybe a few months before I got pregnant with my daughter, I quit that job to take a stab at entrepreneurship. So I started my entrepreneurship journey and motherhood journey at the same time. They’re two very delicate journeys that require a lot of energy, time, focus and strategy, but starting them at the same time – I think – helped me a lot. I got really serious about charging for my services – all these things that I wasn’t thinking about before, I now had to think about. So I think that my career was actually enhanced as a result of my children. Also, as a creative entrepreneur I was able to incorporate my children – my lifestyle – into my business with the creation of BabyBrownSugar. I was able to relate to even more women then. I can’t say that it has been easy – it has been very hard because both job titles are demanding. I needed to create balance and take proper care of myself so I could give my best to my business and my kids. BB: Christina, let me tell you…I’m over here just-a nodding away because my journey of becoming a mother actually jump-started my career so I relate. CB: I feel like having a child almost opens up this new world of possibilities. A lot of women become inspired and want to create things as a result of becoming a mom, and it’s a beautiful thing. BB: It is. So, I’m going to get a little more personal...are you a single mom? CB: I am a single mom. BB: I’m curious how that affected you when getting started in your career? Does it affect your career currently? CB: At the end of the day, not having live-in help definitely plays a big role in what I can and cannot do. I don’t do a lot of overnight trips; I have to pick and choose because I don’t feel comfortable with leaving my kids overnight with just anyone. There are certain boundaries I set as a result of being a single mom, but I set out to accomplish certain things and I have not let that stop me. I also have to set boundaries with the people I work with…teammates and clients…they all know at a certain hour I turn off my phone and I can’t work on things because I’m getting my children ready for bed. Even if you aren’t a single mom…your husband may work late nights or long hours. Again, it’s just about being honest with yourself and other people about your limits, wants and needs. But I do co-parent with their father and he has been incredibly active in making sure that I am supported in my journey as an entrepreneur. I am blessed that he plays an active role. BB: It’s amazing that you’re so unapologetic about your boundaries. A lot of us think that we have to take certain things in order to reach certain heights. We may tell ourselves, “It’s not their fault that I’m a mom, so maybe I do have to deal with this and that to be accommodating.” Some of us tend to give ourselves the short end of the stick and that’s not okay. CB: Another thing I want to stress is when you provide value – whether it’s to your clients or to the company that you work for – they have to be willing to return value to you. And it’s not always financial, sometimes it’s flexibility. If you’re a working mom and are thinking about transitioning to a different 9-5, for example, you should ask yourself, “Would this company allow me to live my best life as a mother? Are there work-from-home opportunities? Is there a daycare on site?” I would advise mothers to actively work toward transitioning toward a lifestyle that works better for the demands of motherhood. BB: Exactly. And it starts with valuing yourself as a mother and as a woman in general. BB: How were you able to build your personal brand? Do you have any tips for our readers? CB: Business is an extension of our personal brand. What I stand for, I make sure I communicate that in the business that I do. Again, it’s that unapologetic nature of, “Okay, this is what makes me different…I’m going to celebrate that instead of downplaying it.” I’ve also grown to be very comfortable with doing things my own way and not doing what everyone else is doing on social media. Guess what, I’m going to show myself today with no make-up and say, “I had a crappy day, but God is still good!” And I think that’s what people have been drawn to – my transparency. I celebrate when I have wins, but at the end of the day, not every day is beautiful. When it comes to your personal brand, you should be focused on being your “unique” self. Not a carbon copy of someone else. Whoever you are, you’re a beautiful person that people would want to know more about. BB: I know that’s right! Earlier on in the conversation, you mentioned tapping into your passion and honoring God’s path for your life. What advice do you have in this area? Also, if you keep getting a feeling that you need to write, then maybe you need to write a book. If there’s this problem that keeps coming up and you’re like, “Man, if I could just create an app or start a group that problem would be solved,” maybe that’s part of your purpose. Because there are other people dealing with that issue. At the end of the day, your thing is to make this Earth a better place; no matter how small or large – just do it. And the more you do it, the better you’ll feel. And you’ll feel like you’re living a life that is full and has meaning as opposed to just going through the motions. BB: I completely agree. That’s how you know you’re living in your purpose. Just one last question before I let you go – even though I am LOVING talking to you right now! What last piece of advice do you have for our readers? CB: I just want moms out there to know that you are capable! I think a lot of times we get caught up – it feels like this never-ending cycle day-to-day – but you’re enough, you’re capable, and you also deserve to have wonderful things. Yes, you should dedicate part of your life to serving other people, your family, your kids and your work, but you deserve to be treated well. You deserve to have time to yourself and enjoy your life. Be unapologetic about that. BB: Very good advice. I truly appreciate you for taking the time to speak with me and deliver such gems to our community of mothers. I think the information you provided really encompasses topics that a lot of us mothers get stuck on, so thank you. Ladies, I hope you enjoyed this little glimpse into the life of a mother who chose to step out on faith and create a lane for herself despite the obstacles. In addition to gaining entrepreneurial advice and a few new resources, my wish is that you learned from her story and have been inspired. We all face obstacles. At these challenging times, just recall to mind the key takeaways here. You deserve to be kind to yourself. You owe it to yourself to take what life gives you and make the absolute best of it – use it to your advantage. If something isn’t working well for your journey, change it! Don’t give up; don’t pout….literally alter it, or drop it and keep it pushing, mama! Above all, consult with God on all of your decisions and He will pave the way. As Christina said, you are capable! Make it happen! CHIC Journal: Chilleeeeee, I've Evolved! I'm just coming off my high from attending the Women Evolve Conference a week and a half ago. The conference took place in Denver, Colorado. Denver was such a nice place and the conference was amazing, so good that I had to share with my CHICmoms. I wish you guys knew where I was mentally and spiritually before the Evolve conference. My mental space was at capacity, although I was still making strides towards my goals, I wasn’t sure if I believed in myself anymore, and furthermore, I convinced myself that God had moved on from my prayers. 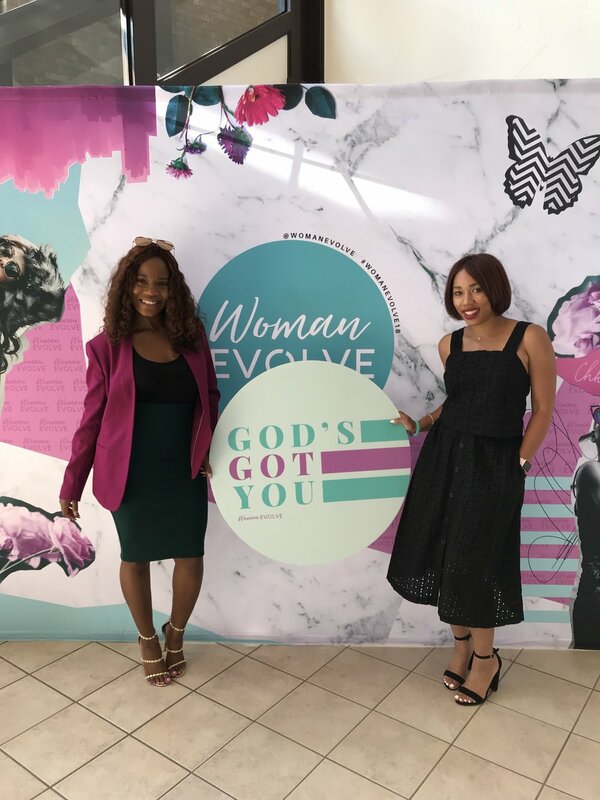 I told my friend (and fellow CHICmom) about the conference, mainly because I love Pastor Sarah and Angela Rye, and I’d been following Tiffany Aliche for some time for financial tips. I wasn’t too sure I wanted to go, so I didn’t make it a huge deal. But thank God for persistent caring friends because she wasn’t taking no for an answer, so we pressed our way to this conference. By press I mean my friend searched online for the best plane tickets. We couldn’t find decent round-trip tickets, so we brought two one way tickets on two different airlines to make it work. We stayed in a CHIC affordable hotel surrounded by nothing but restaurants and aesthetically pleasing views in the bougie area of Denver (our Lift driver said that, not us..lol) Thanks priceline. I have to give my friend all the credit because she booked everything! Fast forward. Friday morning beginned with a message from Pastor Sarah. When we arrived, I was distracted by the photo ops (I love me some good chic photo backgrounds), but we made our way in the sanctuary. Listen, the minute we opened the door, Pastor Sarah was going in!! "Wait a minute Sarah, let us get settled In first lol". She wasn't playing with us. She meant business. Her message: The Wild Woman. Let’s break this down. Pastor Sarah referenced Revelation chapter 12, The Woman and the Dragon. In short, this chapter talks about a woman giving birth while faced with an enormous red dragon of which had seven heads and ten horns. The dragon’s mission was to devour her child the moment it was born. However, she gave birth to a son who will rule all the nations, and God snatched her child, and the women fled to the wilderness to a placed prepared for her by God. Listen, Pastor Sarah got my life in 20 minutes, and this was just the opening message. I do no Justice here for how powerful the message was. Talk about someone crying, and makeup running. You see at this point, I’d applied to over 100 jobs, been on at least ten interviews and doors kept closing. I’d prepared for my interviews, reached out to my mentors, and still my emails were filled with rejection letters, it was depressing. I was ready to expand my marketing career, but nothing was working in my favor. I never struggled with finding a new job, but I knew that meant one thing. It was time for me to level up. I’ve had a dream I’ve been carrying for some time, but I’m scared as heck to launch it. So I’m forced in the wilderness, this unfamiliar place where I feel like nothing I planned is going my way, but my dreams are on the other side of this dragon of fear. It caused a spiral in my mental health but honey now I know, I’m a wild woman, it’s time to fight those dragons, it’s time for me to get in my birthing position and stop watching from the sidelines. I’m called for this! So in this place, I will fight for it, go for it, and birth out my ideas. Thank you, Pastor Sarah!!!!!!!!!!!!!! Chilleeeeee you got me together. Be aware of how you communicate with your mind. Understanding how you internally communicate with yourself is very very important. It’s a conscious decision to train your thoughts. Side Note: There’s medicine to help with this if you need extra help. Create boundaries in your life. Define your boundaries for your friends, family, spouses, work, and even yourself. Once your boundaries are established, the hard part is speaking up when boundaries are violated. Yes, this all ties into mental health. There’s a three-step process to this, 1. saying something isn’t ok when your boundaries are crossed, 2. openly expressing how you feel, and 3. setting consequences if these boundaries continue to get violated. I recommend reading the Book Boundaries; it truly helped me set limits in my life. Have a treatment plan for depression. Knowing the root of your depression will help you treat it. Treatment plans are unique for each person. But one thing that helps with depression is keeping a gratitude journal, finding something to be grateful for every day. Getting up early in the morning and starting your days with prayer can help as well. Pay attention to your thoughts and notice different triggers that force anxiety and depression. More importantly, pay attention to the lies we tell ourselves and create a different story! As always seek help if needed. This was an excellent session. Barbra also addressed how bitterness and hurt can trigger different signals to our brain if they’re not handled and managed correctly. The night ended with a pajama panel discussion titled, Flaws and All, the panelist were Angela Rye, Caitlin Crosby, and Cora Jakes Coleman. It was so refreshing to hear a panelist of women discuss their journeys, flaws, and their learning experiences. One question that hit home was, “What’s one thing you wish people knew about you, that most people wouldn’t know because of your status and position?”. Angela Rye mentioned that most people perceive her as aggressive, but in reality, it’s a defense mechanism. She openly shared how she’s working on being less defensive. My friend and I asked each other the same question. I mentioned I wish people knew the battles I fight internally to keep going and creating events for our members and evolving this organization. I want people to see beyond the social media highlight reel to know it takes a passion for delivering on your goals and encouraging others even when you don’t feel like it, or when your strength is being tested. I don’t do this on my own. It requires true supporters, reliable board members, partners, sponsors, and prayer. God for the plug, please. Overall, the panel discussion revealed that we all have flaws and different insecurities we face, the real challenge is how you deal with your insecurities. You can let them be a hindrance, or you can glow up, brush yourself off, work on what you can and keep going. Separate our needs, from the things we love, to our desired wants. This model is the mantra you should live by when deciding to purchase or do something. Do you need it?, Love it?, Like it or Want it?. I loved how Tiffany talked about not making someone’s else love, your wants. For example, if you don’t enjoy brunch every Sunday but has a girlfriend who does, why spend your money on her desires? Wouldn’t you instead save it for your love (enjoyment), such as traveling or shopping? We have to be clear about the things we desire to do with our finances. Have different accounts to see how your money operates. This include a bills account, spending account (heres where you save for the things you love), and an automatic savings account (preferably online). Once this is done, move on to investing and getting six months worth of living expenses in your savings account. The key is to "separate to see" remarks Tiffany. We should be in control of our money not the other way around. Improve your credit with a "jump man" credit card. Tiffany coined the term "jump like Jordan" credit card . This is a credit card used to pay a bill of yours every month and then you pay off the credit card, and repeat. This helps your credit jump to a higher score. But you must pay off the credit card every month or you can get into trouble. Hello discipline. Make use of unexpected money. Unexpected money happens in a variety of ways but one common way is when you’re going out to eat with your friends, and she offers to pay for your lunch, bingo!! Tiffany talked about not just spending that money but using the unexpected cash towards one of your financial goals, such as paying down debt. Ok, Ok, I get it. I need to stop shopping (eek)! Tiffany session was very informative. Personally, I need to change the way I think about finances, it takes proper planning just like anything else in life. Time to get back into budgeting and deciding what's truly important to me as it relates to my spending and saving. Thanks Tiffany! Before you launch a product and/or service you should first have a community. A community of a core set of people who believe in your mission and/or purpose. Many times we launch products thinking that everyone will love it. Ronne suggested surveying the market first, engaging and creating a community of potential core audience to understand their likes and dislikes. Knowing this will help you leverage your understanding of your target audience and customer database. Take out the “what’s in it for me attitude.” Yes, sometimes you’re going to have to give things away for free to build an audience and clientele. Your mindset can’t always be, “how am I going to benefit?” Sometimes you have to give to receive, this means engaging in the right circles, letting people try your product, offering services for free, and sowing into your clientele by offering meaningful and impactful content. What's your story?! Every brand and business must have a story behind it. People are more interested in YOU and your WHY verses your brand and/or product. People are yearning for auntencity, so you need to hone into your story. Know your why and tell it!! Always think about your story and connect it to your brand and your business. NETWORK, CONNECT, NETWORK. During the session, Ronne challenged us to get stop and exchange contact information with someone on our row. This was so simple, but yet imagine how many people would have walked out that room without meeting one new person. We do it all the time. We’re afraid to connect with other women, or we don't want to be judged, so we say nothing. We have to learn to network and boldly introduce ourselves and our business, after all, no one else will! Get out your comfort zone and network with others, you’ll never know how one connection could lead to a business partnership. The conference was amazing! The night ended with praise and worship by Pastor Sarah and finishing remarks. Guest were invited to Church service on Sunday, but I had to get back to our CHICmom playdate. Listen, I evolved spiritually, mentally, and professionally. It was everything I needed and more. The sessions are scheduled to be released online Wednesday at Woman Evolve, so mark your calendars. Also, the dates released for next year’s conference. This experience was indeed a life-changing moment for me. Time to EVOLVE! CHIC Journal: What I've learned about happiness! Taking a pause is hard in a selfie-centered, career-driven, goal-oriented world. There’s so many pressures to do more, be more, have more, and show more. Falling victim to these society pressures are extremely hard, precisely, when you’re trying to figure out who and what makes you happy. Happiness is a long journey, while many flaunt the idea of joy on social media encompassing taglines and statuses, I question how many of us are truly happy? Does “likes” make you feel valued, does accolades make you feel accomplished? If you strip yourself from titles, who are you at the core? I struggled with this question . One day with nowhere to go, no event to plan, children weren’t home, husband was away, I realized something very devastating, I had no idea what made me happy. Even more terrifying, I had no idea who I was when I wasn’t busy “doing” something. For so long, happiness meant doing, planning, and surrounding myself around people. If you took those things away, I’m afraid to admit, I had no real sense of peace. This realization was eye-opening, but horrifying to say the least. Something had to change. Peace became more important. The road to internal peace is yet discovered. But I learned a couple of things. Society has conditioned us to think that happiness is external. A new job, a better house, the right car, the perfect mate, a big family, equates to happiness. But what happens when you have all those things but you’re still unfulfilled? We all have happy moments; things and people that make us smile, but this is very different from peace. Peace is being content with the day-to-day sequences of life. We talk about happiness so much, but what the world is missing is something that’s much more profound than happiness, it’s peace. What happens if the one thing you were waiting on to make you happy, never happened? Are you content? Peace is being able to accept life when situations don’t meet your expectations. You don’t quit, but you don’t lose your sense of peace. Happiness are moments that make you smile, laugh, and bring joy. Peace is loving your boring and mundane day-to-day life occurrences when no one is around cheering you on, and there’s no superficial “fan club” on social media. Peace is loving yourself and your life in your deepest darkness moments even in the midst of disappointment. I am learning to have peace by clinging on to my faith. It’s been a long journey, but for so long, I let society trick me into believing that happiness was the purpose, it was peace that I needed. Once I discovered peace, happiness was no longer something I needed to achieve, but rather something that was already inside me. 1. Being with my family without the need to share and post my every moment. Being intentionally in the moment. 2. Plants: I just recently realized that I like house plants. Something about waking up, watering and watch them grow speaks to my soul. 3. Times spent alone: Yes, I discovered so much peace in my alone time. Hello bath time, long trips in the car, listening to MY music, and solo vacations. 4. Reading: I really really love reading. I just finished Boundaries. This book is pretty amazing and very eye-opening on setting boundaries in your own life. 5. Girlfirend time: ok so I went on a hiatus with friends. At one point I got tired of making time for friends who never made time for me. So what did I do? I stopped! I realized something very quickly, people will make time for who and what they want to make time for. My real friends quickly revealed themselves during this period. Now I know its essential for my girlfriend time. Sometimes we have to plan our meet-ups months in advance but we when get together the feeling is so rejuvenating to my soul. 6. Date nights: I make this a big deal. I get dress like I'm going out with my high school crush and I try not to talk about the children on our nights out. I really try to re-live those moments that made us the fun, cool, and hip parents that we are. lol. We truly act like teenagers on our nights out and I love every moment of it. 7. Writing: I journal a lot! I love it, it allows me to freely express myself without any judgement. I especially like to re-read things just to see how much I've grown. It truly helps me keep things in perspective. 8. 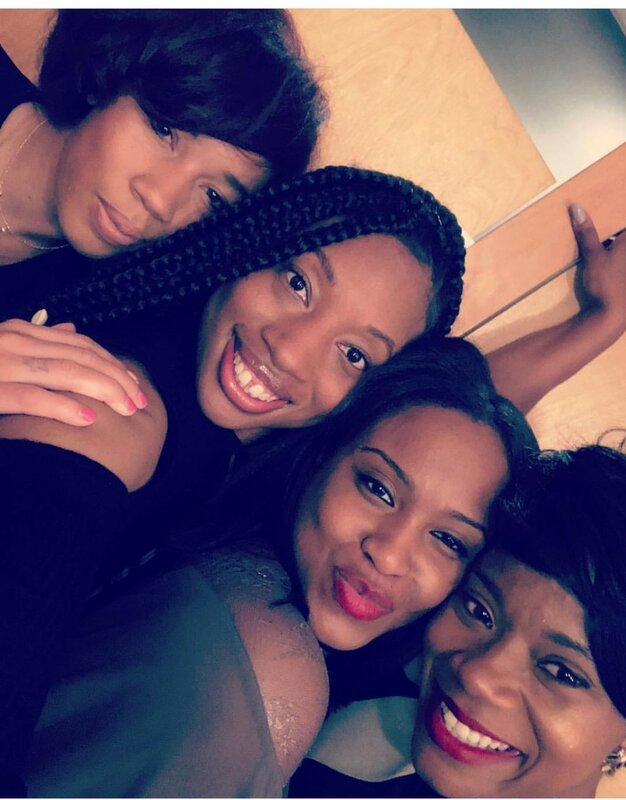 CHICmom: I truly love being in the presence of other mamas! Growing and learning together is truly one of my life purposes. Talking and sharing our experiences in a transparent environment is Gold! 9. Clean house, music and the smell of candles: Yes, they all go hand in hand. Usually I'm cleaning with a candle lit, blasting music! When this happens, I'm in pure heaven... Aww the simplicity of small things. I have tons more small moments but I won't bore you about me. This quest to peace has been so fulfilling. I challenge you to find those special moments that make you happy, make a list, print them out. It's your safety space when you feel a little sense of unhappiness. Remember peace is more essential. Peace is knowing that all things will work out just the way they were planned, this helps you to live in the moment and enjoy the day by day of life. Creating happy moments in life helps you come alive. **Being grateful: Waking up daily and finding something to be grateful for, even when I want more! Gratitude has changed my life!! Pictured taken at our Fun in Finances workshop. CHICmom just wrapped up our Financial Fitness Series and it was amazing!!!!!!! The series included weekly tips from Credit Consultant, Shelley Wallace, an interactive workshop sponsored by Flagstar Bank and facilitated by Mary Mbiya , two live Facebook discussions chatting about credit and life insurance with Shelley Wallace, and State Farm agent, Kandiss Ecton, and we closed it out with accountability partners to keep us on track. Our discussions talked about credit, savings, investment, life insurance, and our mindsets. 1. Getting your finances in order is more mental than anything. Changing your mindset to live off of little is key (this is what the riches do). We don't NEED something new all the time. Finances are physiological we've taught ourselves to shower our children with more and to do excessive spending. Well, actually the world teaches us this. This world is cultivated by the idea that we need more. Sadly, when we get more it's usually never enough. Gratitude ladies!!! Say it with me. And oh for our little people; It's not always better to shower our children with gifts because we want them to have a childhood better than ours, we have to teach them responsibility and accountability. 2. Talk to your children about finances. This is key!!! Credit is a character trait, ouch! Credit shows the banks how we treat and think about money. More importantly it shows banks how we treat our responsibilities and how much they should trust us. WE should talk to our children about money, when they want something, ask them why, have them justify it. Teach our children how to save and work for allowances. Did I mention, TALK about FINANCES in our households!!! Talk to them about importance of having good credit, paying people back and establishing a savings mindset. Teach them character traits associated with working hard, saving, and living a meaningful life. The opposite of spend all you have for the moment. Teach them the importance of having a balanced life, more then anything MODEL what you teach. 3. Finances are personal, there's no one size fits all. But one thing we should all be doing is saving!!! We should be working towards having six months of living expenses in our savings account. Think about one thing you could give up to save more, rather it’s eating out, taking lunches, or inquiring about adjusting our rates with insurance and phone bills. Also, research different savings accounts that aren’t linked to your checking accounts. 4. Pay YOURSELF first!! The wealthy always pay themselves first and majority of America does the opposite way. Set an amount to pay yourself every time you get paid, or receive funds. 5. Don't give up. At the workshop we imagined we were all on a trip together and along the way there were various challenges, but we kept going. However, many people don't treat finances this way. Changing your mindset in finances is going to be hard at first, you may stumble but don't get discouraged and stop. Keep going. 6. Invest for your future and your children's future. Invest in IRAs or 401ks, and also make sure you have a 529 plan for your children, the earlier you start the better. Also take time to learn about your 401k. Don't be in the dark about your money. 7. Create a household budget! 8. Life insurance: ok this was an eye opener! Life insurance can also be considered an investment for your family if you have the right plan in place. Many people view life insurance as daunting but in reality it’s a way of life for the wealthy. February was a great month for us CHICmoms!!!! Moving right along to our March literacy month. Growing up my mom made the most delicious lasagna, it was so tasty that I almost always asked for it whenever she needed dinner suggestions. I adored it so much that she frequently made that beloved dinner as a warm way to comfort me. Comfort food then became my all time favorite. I mean look at the name “comfort food”, it even sounds loving. Almost as if it’s going to wrap it’s warm arms around you and envelop you in a warm fuzzy hug. Fast forward to present time, I have my own family now who I enjoy sharing my own version of loving comfort food with. I wanted my meals to be so easy that practically anyone could make them, but savory and satisfying enough to make you believe that you’re a chef. I was on a quest to find something a little easier for my toddlers to enjoy on their own (without getting too messy). So I decided to put a spin on my mother’s famous lasagna by creating this palate pleasing Pesto Marinara Pasta! Sure to be a crowd pleaser, Pesto Marinara Pasta takes everything you love about lasagna and delivers a flavorful punch with a twist! Rotini pasta, Marinara sauce, pesto, and just a bit of cheese makes for a wonderful dinner that even young kids will enjoy. Simple and savory with a pasta that’s small enough for both little hands and mouths! This meal has become one of my family favorites, so to me sharing it is like sharing a little warm loving piece of my family. Bring 8 cups of salted water to a rolling boil, add 2 cups of rotini pasta. Brown ground turkey to saucepan with vegetables. Add marinara, black pepper, sea salt, Italian seasoning, and pesto to the meat and vegetable mixture . Simmer on low for 10 minutes. Bake casserole at 350 degrees for 20 minutes or until brown and bubbly around the edges. When cooking pasta, be sure to add salt to the water and bring to a rolling boil before adding pasta. Promptly remove pasta when done boiling to ensure that pasta does not over cook. Shelby Huguley is Detroit raised but southern born ( Atlanta to be more specific). Mother of two vibrant little kiddo whom I adore! Home based baker (@shellssweeteats instagram). Lover of food and all things creative. We were having a really warm, summer & fall mix type situation in Michigan. I was asked the question by my podcast co-host Timmi about what type of shoes do you wear in this weather. It’s too cold for open toe (even though you have a few people wearing them) but it’s not cold enough for a full on boot, at least not yet. I put together a few of my favorite styles to wear for the fall transition. A perforated oxford is one of my favorites. I wear all the time for work. This is perfect for fall transitional weather. It gives you a little air to let your feet breathe without wearing an open toe shoe. 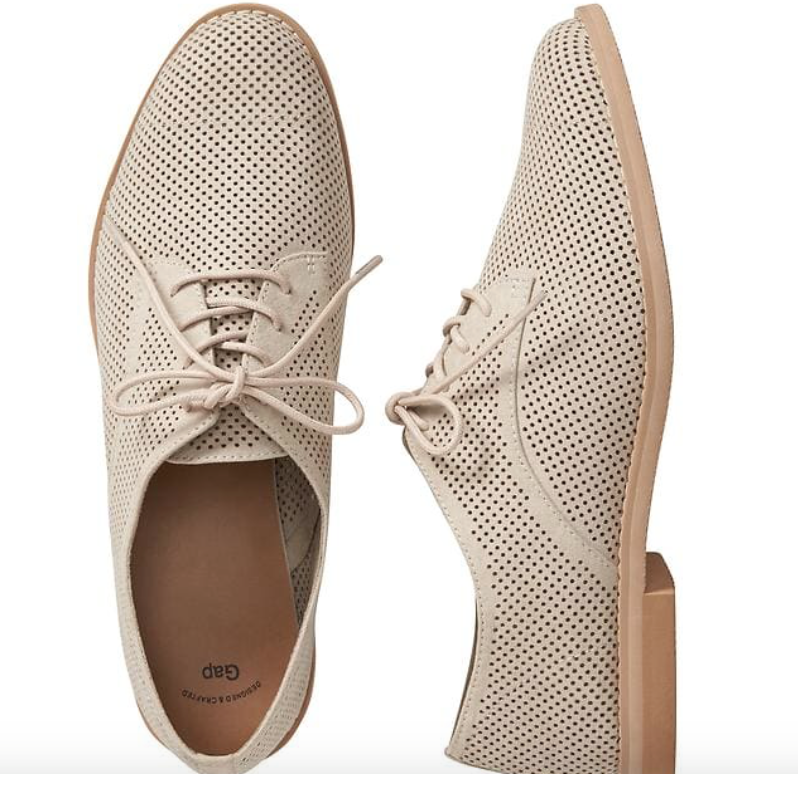 These perforated oxfords from GAP are on sale now for $35. Sizes are limited! The cut out bootie is is another great option to consider for those cooler days. I like these boots because of course it’s a way to get air on the side. You don’t feel like you’re wearing a winter boot. It’s more like a Fall boot. I would wear with a no show sock if it’s warmer with a flowy dress and a cool jacket. Perfect for a date at the apple orchard! Check out these Basil Cut Out Buckle Booties from Target for $30.39! Now these are oldies and subject to your personal style. I remember my mom wearing mules and saying I would never wear them! LOL! The updated version of the mule are super cute and a great idea for those warmer fall days. My cousin paired these with a super cute top and cropped jeans. PERSONAL STYLE BLOGGER ZUQUETA IS THE CREATOR OF THE PNK PANDA. 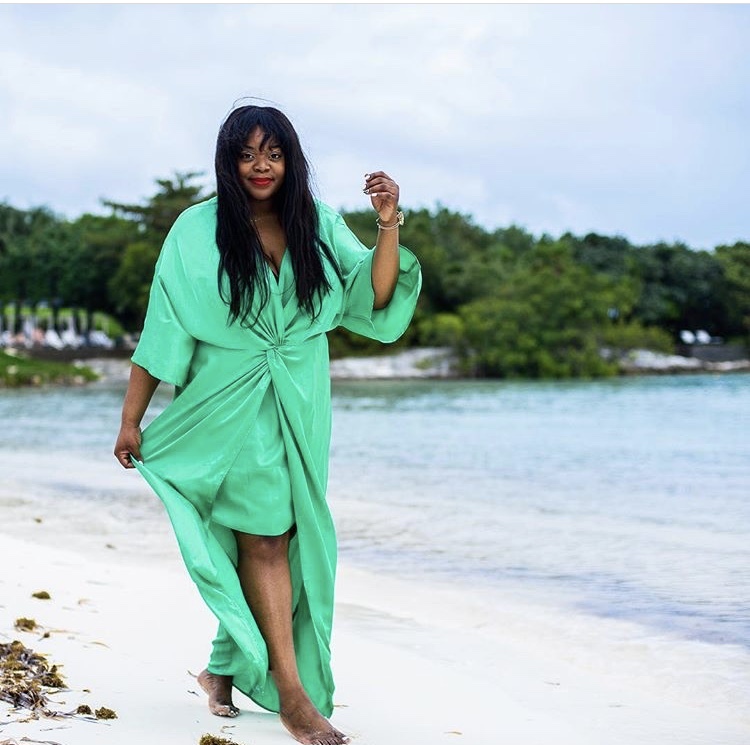 LAUNCHED IN 2016, THE PNK PANDA WAS CREATED TO SHARE WITH WOMEN OF ALL SIZES HOW I CURATE MY WARDROBE TO NAVIGATE MY BUSY LIFE. MY POSTS INCLUDE A VARIETY OF TOPICS FROM LOOKS OF THE DAY, DAILY FASHION FINDS, AND HOW TO #FLEXYOURFINDS. 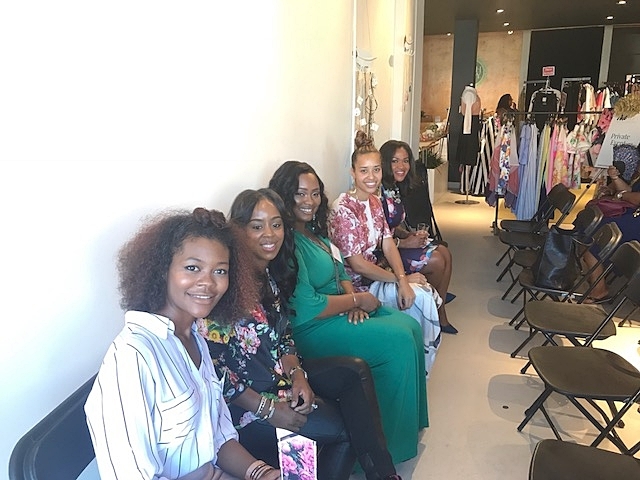 AS A BOUTIQUE OWNER, WIFE, MOM OF THREE, AND TEACHER THIS DETROITER HOPES TO USE HER BLOG TO CONNECT WITH WOMEN WHO WEAR MULTIPLE HATS JUST LIKE HER!!! Yes, we Spilled the Tea again. Every year we host our annual Spill the Tea event to educate and encourage moms through real life stories, from real life mamas (because being a mom is hard). This year we had a panel of six mothers from all different walks of life. We had to swamp one mother because her daughter got sick, (true realities of us mamas, huh?) but none the less we made it work. The panelist consisted of career moms, entrepreneur moms, corporate moms, fashion moms, some married, others dating, and some single. We represented everyone, there’s no one size fits all to parenting. The event was amazing. Held in Downtown Detroit at the CHIC, North End Collective. Mothers enjoyed shopping one of a kind pieces, elegant jewelry and lavish bath and body products. This store was basically a gem in our own backyard. It’s owned by four ladies, and they’re bringing it correct. If you're in the Detroit area, I highly suggest you make your way to this store, tell them CHICmom sent ya! It’s serisoully a one stop shop. Each year we host our Spill the Tea event at a local business because not only do we believe in empowering others, but we also strongly believing in supporting our community. Guest arrived at 3:00pm and wasted no time networking and chatting with each other. Around 4:15pm, we started the panel. Once the panel started it was hard to stop, I’m pretty sure we could have easily been there all night. We covered everything from finances, to balance, friendship, schooling, co-parenting, mental health, and the list goes on. The panelist was open, honest and vulnerable. We shared personal testimonies, struggles, and coping mechanisms with life’s not so fonding moments (because adulting gets real). We had serious conversations, but we laughed so much, that people walking by might of wondered if it was a comedy show going on. In essence, the vibes were so genuine. It was like a girlfriend chat in the living room of your own home, but with wine and shopping, basically your perfect girls night. It was amazing! The evening ended with attendees creating their own CHICmom devotional to carry around in their car, on their desk, or wherever is visible. I personally put mines on my desk at home. I live by devotionals, so this was a fun part to incorporate. Last by not least, we all said our CHICmom mantra to live by; I am Confident, Heroic, Inspiring and Courageous. I can't say it enough, we had an amazing time. The attendees were very engaging and everyone left with tips to use in their own lives. We’re all about mixing fun with education, and this covered all bases. We also have to acknowledge our raffle sponsor, Tealing & CO who sponsored a box of tea, and infusers for a lucky mama, which was so fitting for this event. We also can't forget our delicious strawberry cupcakes made by a mama of two (yes, we love supporting other moms businesses). We love coming together as a community to support one another. Our mission is it equip mothers to live their lives OUT LOUD, while also being role models at home. Mothers carry a lot on our plate, and most times don’t get enough credit, but at CHICmom we make sure we're supporting one another, while providing engaging social events to create a unique transparent space for mothers. We have so much in store for 2018. Special thank you to our repeating attendees for joining us again for our 2nd annual Spill the Tea event. Growing up, I always knew I wanted a big family. Being the middle child of four kids, and having a house full of differing dynamic personalities just made life that more exciting. I always had a sibling to play and feud with, not knowing these encounters with my “first friends” would guide me through building relationships throughout my life. Now I find myself continuing my lifelong dream and extending my family with another baby on the way. This pregnancy has been as unexpected as the first time around, but we cannot be any happier. As the weeks fly by, my little bump is growing rapidly and I even started feeling fetal movement very EARLY at about 14 weeks to be exact. With my first pregnancy, I didn’t feel movement until deep into my second trimester. Consequently, with each pregnancy a mother can distinguish the little movements they experience and are less likely to dismiss it as stomach rumbling. Also, with this being my third time around, I had some knowledge about pregnancy and how it affects not only my body, but also, my hair. Due to the increased hormone levels in our body, follicles are locked in the anagen and catagen phase. As a result, hair that is normally in the TELOGEN phase won't shed. This phenomenon gives expecting moms increased fullness and length. Unfortunately, the telogen stage lasts only as long as it takes to give birth to our little blessings. Contrastingly, after giving birth (at about 3 to 6 weeks) our hormones dramatically decrease and the hair that was frozen in the resting state starts to shed, all at once. It is common for mothers to experience clumps of hair falling out. This is normal! Don’t have a “‘Waiting to Exhale’ moment” ladies. I’m here to convey some key ways to minimize shedding. It is vital, to be proactive and show your locks extra care to keep them healthy and strong for the months to come after birth. I know…I know…. you’re hormonal, exhausted, and hungry but you can do this! I have a few gems that I want to share with my readers who may be pregnant or are planning a future pregnancy. As you may recall from my first blog post, I am a true believer that “annual trims save lives.” This is especially true during pregnancy. Although your hair is fuller and longer, that does not mean the ends don't need continuous maintenance. If you have a trim schedule you normally follow, I would continue that routine throughout pregnancy. Rough, split ends can lead to breakage, and who wants breakage on top of what's on the horizon in the coming months? I try to get my ends trimmed every 4-6 months. I had my last trim in April so I’m already planning my next trim for the end of this month. Nutrition, is also key for not only healthy hair, but a healthy pregnancy. During pregnancy mothers are expected to take prenatal vitamins but I have found that this is not enough always. It is important to also take Omega 3’s during and after pregnancy. I always try to take an Omega 3/DHA prenatal formula vitamin, along with my whole-food organic prenatal vitamins daily. Also, an increase of iron deficiency is commonly prevalent during pregnancy, especially in the later trimesters. Eating foods rich in iron such as beans, spinach, and pumpkin seeds may not be enough. For that reason, doctors recommend taking an iron supplement as well. Supplements are always a great way to keep vitamin intake steady during pregnancy, but, are not a replacement for real food. Plant-based supplements and a good diet work together for your overall feminine health. This directly correlates to hair care too. Growing hair is healthy hair. Eating a balanced diet while pregnant and especially afterwards can help keep hair shedding to a minimum. I found this to be very true after having my son. He was a much bigger baby and to keep my milk supply up, I had to make sure I ate lots of fresh fruits, veggies, grains, nuts, and lean meats. I literally ate 5 meals a day with a late snack of almonds and cranberries nightly. I experienced less shedding with my second child than my first. In addition, hydration is important in all stages of life, however, crucial during pregnancy and lactation. So, if you’re insatiably thirsty, drink water and if you’re not thirsty drink water lol. Drinking lots of water during pregnancy helps to deliver nutrients to your growing baby, but also to other parts of your body including your hair follicles. More water, disperses more nutrients, which leads to less shedding, eventually. It is recommended that a person drinks at least 8 glasses of water a day. A pregnant or lactating mother should drink at least 12-13 glasses a day. In addition to drinking water, you should also be hydrating your hair more frequently. Hair, during pregnancy and while nursing can become very dry because essential nutrients are not only being facilitated throughout your body, they are especially directed to your growing fetus and your definitive breast milk supply. It is important to keep up your hair care routines such as the LOC method while your is damp. I cannot say it enough, KEEP UP YOUR HAIR CARE ROUTINE to diminish shedding post birth. Protective styling is an easy way to keep hair managed during those pregnancy and post birth months. Styles like twists, braids, cornrows, and buns can help ends stay protected during this time. However, it is important to balance between wearing these styles and letting your fro, kinks, coils, curls or waves out to breathe. Hair can become overtly manipulated especially post birth. I wore buns excessively during my second pregnancy and noticed afterwards that the perimeter of my hair looked heat damaged, though I rarely straightened it. This stemmed from brushing the sides of my hair back into a top knot bun and smoothing my impressionable yet fragile edges. In fact, hair can experience a sort of muscle memory. I was left with sides that were straight or wavy except at the ends. Also, it is important to never wear braided styles that are tight on your precious edges, because these hairs shed as well, and more stress begets more shedding. I’ve heard from many of my pregnant readers who thought that their bomb box-braids would ensure that their hair would be healthier because of low manipulation, while contrastingly enough, this stress causes more damage than preservation to the hair. Braids are fine, but remember that if it seems too tight, it’s not right. Don’t play yourself. Take them down, because it is not worth the stress. Motherhood is such a blessing! Just knowing that in the coming months you'll be welcoming a tiny person into your life, which will change your life as you know it, in the most amazing way. Moreover, pregnancy is a time to prepare for that little human being, bond with the children you already have, and give yourself the rest and nutrition you deserve. So, my message to the ladies that are embarking on this journey of motherhood, I wish you all the blessings you have coming. I sincerely hope that this post equips you with the essentials that will prepare you and help alleviate the low points that your hair may experience while pregnant and beyond. SHANA TRAMMELL IS A MOTHER OF TWO, AGES FIVE AND TWO. SHANA LIVES OVERSEAS WITH FIANCE, WHILE HE PLAYS PROFESSIONAL BASKETBALL. SHE SPENDS HER TIME TRAVELING BACK AND FORTH BETWEEN HER HOMETOWN IN BOSTON, AND ABROAD. SHANA IS A STAY-AT-HOME MOM, AND UTILIZES HER SPARE TIME AS A BOARD MEMBER OF THE AMATEUR YOUTH BASKETBALL CLUB, TOO MUCH GAME (TMG). This past weekend, CHICmom held our Love in the Home workshop, sponsored by Northwest Activities Center. For starters, this workshop started as a thought. I struggled with love for years, I wasn't sure what it meant, I didn't quite see it modeled, but I knew I wanted it. I searched high and low for love, in men, in friends, in jobs, in almost everything but myself. When I got married, it was a fast reality check about love in its entirety. I had a dysfunctional view of love, and turns out my selfish reasons for wanting love, had nothing to do with the true meaning of love. Love actually requires the exact opposite. My husband and I used to argue like crazy, even with two small children, we just didn't quite get along. After counseling and tons of self reflection, we're going on our 4th year of marriage and I can honestly say, i LUH this man..lol Sure we still have disputes but it's different, disputes doesn't end with us yelling and screaming at each other, we have come to a place of understanding even when we don't agree. It has changed our whole household. It's my biggest mission to help others with things I personally struggled with, and thats how Love in the Home workshop came to life. The workshop consisted of an interactive workbook, six workshop facilitators who shared their personal experiences, journeys, and their lessons, and forty attendees who were ready to answer hard questions to create a thriving and surviving household. Here's a couple of nuggets that stood out to me. 4. Psychological affect on children. Markiesha spoke from a social worker prespective about things she witnessed in her line of work. Although this was a very sensitive topic there were a couple points that stood out. Learning to forgive those who may hurt you. Sometimes we assume that people are aware of the hurtful things they do to others, but sometimes people just don't know. Markiesha mentioned that her job is not to judge people for their past mishaps, but to help them and provide hope. So if you know someone in your home, family, or social circle, this is a vital point to help others as oppose to judge. This is yet another factor of love. Children are very sensitive and they remember the smallest things even if don't think they do, especially traumatic experiences. Talking about these experiences is important, and if it's something you need additional help with don't be ashamed to ask. Attendees had an awesome time shopping our local vendors, learning from one another and networking. We love mixing fun in with information. I could not be more happy with the results from this workshop. Attendees left with an interactive workbook to do at home. The workshop facilitators were amazing. It was also nice to see some guys in the building! I am a mother of two. I have been blessed with a beautiful daughter and a handsome son. When my son came into this world with a head full of hair I had no idea how to care for it. Would it be the same process as my daughter’s? Do the same rules apply? I had no clue. So, I went to my number one source for information. The internet. Unfortunately, although the natural hair community is vast there is very little information out there devoted to little princes. I found videos upon videos of styles and treatments that were suitable for both me and my daughter but hardly anything for my little guy. Now after nearly three years of trial and error I have a greater understanding of boy hair care and I hope to pass on a few gems to my readers. In my first blog post, I spoke briefly about creating a hair goal for yourself. I also believe that is important for boys too. Whether you goal is braids, a fro, fade, or locs it is important to tailor your goal with your time availability and your child’s comfort level. My son let it be known early he was not into having his hair styled so I knew braids or even locs were a no no. Also having a daughter with waist length hair played a huge factor in my decision. I knew that having two kids with hair would most likely leave Mommy bald literally. LOL. So, I had my goal, a head of healthy short hair soon but until the time was right he would sport a fro full of his beautiful coils. Less is more with little boys’ hair. I wash and deep condition my daughter’s weekly but I realized quickly that my son didn’t need his hair washed that frequently. I normally rotate cowashing and wash/deep conditioning my son’s hair every two weeks. The latter I normally do after a trip to the barbershop which I will touch on soon. When it comes to cowashes I love Deva Curl’s Decadence No-Poo Wash and a quick rinse through with the Decadence conditioner. For shampoo, I use Giovanni’s Tea Tree Oil Clarifying Shampoo. Which I notice helps to cleanse his hair completely of product build up. I recommend using baby shampoos until your child is comfortable getting his hair washed. Due to my son’s dandruff prone scalp, I upgraded to adult shampoo after a dermatologist recommended it. For his monthly deep condition, I use my all-time favorite Mielle Organics Babassu Oil Conditioner. After applying the conditioner and combing through his hair I cover his hair with a plastic cap and allow the treatment to stay in for 15 mins and rinse. After rinsing I simply spray on leave-in and apply hair milk and brush and he’s free to run around. So many mothers ask when do I know my son is ready for his first haircut? I had this same question. As much as I love my son’s springy coils he did not want to deal with detangling or combing. My fiancé rocks a clean-cut fade but was my baby boy ready to have clippers on his head yet? After consulting with two master barbers I was told not to use clippers on a child’s head under one year old. Depending on your preference you can even wait longer and cut gradually until he’s able to sit still without being totally put off by the sound of clippers. This is the approach we used for my son. At about two years of age he got his first hair cut which really is better described as trim that was accomplished with hair shears. We continued this plan until this spring when he got his first clipper cut, which still wasn’t a close cut because I still love seeing those curls. This way I can simply brush them instead of having to detangle much. I recommend finding a great barber that fits your family and your is comfortable with and being consistent with that one barber. Due to our lifestyle that includes A LOT of travel my son only gets his hair cut when we’re home. I rather be safe than sorry. When it comes to line ups I was also recommended to wait until he could stay completely still and even then, you have to be careful. If you ever thought women were the only ones who prize them edges you were wrong. Young boys don’t need linings that go into their actual hair lining. To be specific I am referring to the start of their darkest hair. A great barber will just line up the light soft “hairs” on young children to save them from receding early. Boys’ hair need TLC and depending on your styling goals the amount varies. One thing cannot be denied little boys will definitely keep your hands full but his hair care doesn’t have to. Keep it simple and fun and you’ll be tantrum free. So, you have decided now is the time…you’re ready to embark down the path of becoming a natural. I remember having that exact epiphany. It’s an exciting feeling to realize you’re really making a lifestyle change and with patience, time, and care eventually you will see your hair’s real potential. There are two methods to achieve a head full of natural hair, whether you decide to big chop or transition. The first option the big chop is merely cutting off all your hair and waiting for your new hair to grow out. Many people choose this option. You can allow your hair to grow in a few inches first and chop the rest or you can simply just shave it all off. This option is not for the timid but it is a quick way to get 100% percent natural hair and you would be surprised how much faster your hair can grow naturally when cared for properly. The second option is transitioning, which as the name suggests is a process. 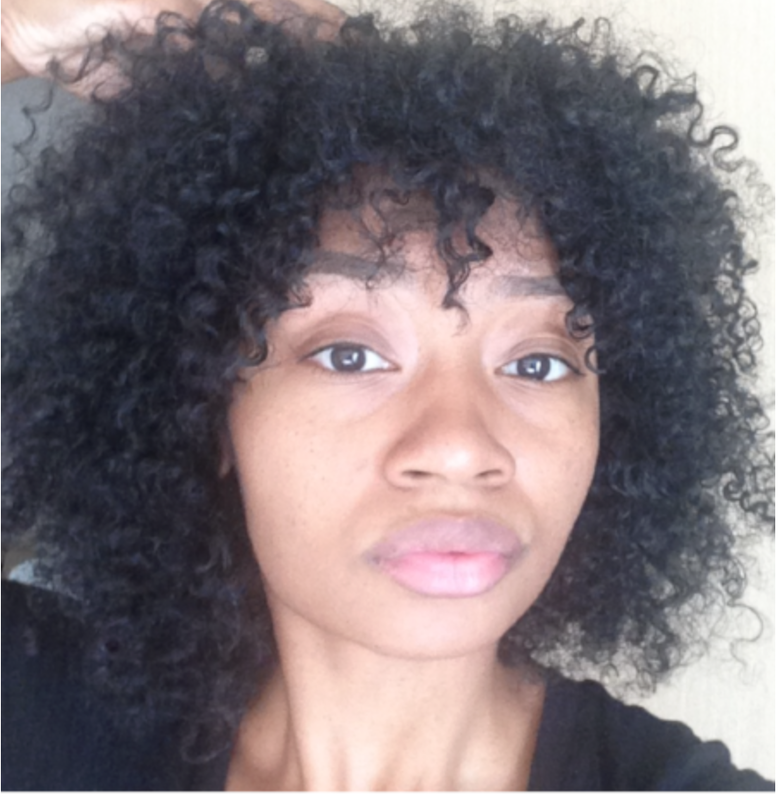 Transitioning is the act of allowing your hair to return to its natural state by growing out the relaxed hair and trimming off the chemically treated hair as you go. Many women chose this option because its less abrupt and therefore you get a chance to get use to natural hair and keep some length. Personally, I’ve done both. Yes. Both. I big chopped my hair my junior year in college but at the time I had no goals on what to do or even how to care for my hair. I made so many mistakes. After cutting all my hair I still was not comfortable with my natural hair and had no idea how to style it. So, I did the unspeakable. I just straightened it into submission frequently. Years later I knew that if I took care of my hair at that point most likely I would be rocking a sky-high fro with waist-length hair. After having my daughter I was prepared, I researched, and decided to transition my heat damaged hair. To transition smoothly (and I say this with caution) as possible there are a few rules of thumb to keep in mind so that your hair will grow in healthy and with its own curl pattern intact. Use protein treatments and deep conditioners frequently to strengthen and fortify your hair: This also is self-explanatory. Your goal is to make sure your hair is as healthy as possible during this period so your will not only see growth but also optimal results. NO HEAT: Girl take those blow dryers (or blow fryers as I like to call them), flat irons, pressing combs, curlers and throw them in a box and put them into your closet until further notice. Once you achieve natural hair you can decide how often you want to straighten your hair or if you even want to. However, during transitioning no matter how tempting it may be you should not put heat on your hair. It is just defeating your purpose and it is easy to burn new natural hair. Trim consistently: As your natural roots prosper and grow you will notice that the chemically treated hair is much thinner and brittle. This is because it is severely damaged. When transitioning you should trim your hair at whatever interval you feel comfortable with until this hair is completely gone. Wear protective styles: You may be looking at your hair with its starkly different hair patterns and textures and think, “What did I get myself into!” Don’t get discouraged. Every natural you ever stalked (I’m guilty of this) or liked on Instagram, had this thought. The key is to start experimenting with protective styles to keep your hair protected and blended until you can achieve those perfect twist outs and wash and gos we all covet. My go-to during this period was a good braid out. I would wash, condition, and moisturize my hair then separate and braid my hair into 8-10 plaits wear this in ponytail or updo for about a week or so then un-braid a few inches and add permrods and take down after a night and rock this for 4 days. I loved them! There so many different protective styles, and the summer is the perfect time to try them all. Box braids, Havana or sengalese twists, faux locks, French braids, flat twists, crochet styles, etc. I recommend looking online at various natural hair Instagram accounts to find your new go-to. Mother's day may have ended but being a mom never stops! There's never a pause button on motherhood, it’s a selfless role, a role full of adventure, and ups and downs but it’s one that has everlasting meaning. It’s our mission at CHICmom to make motherhood a positive journey, a jouney of support, encouragement, and wisdom. That’s exactly what took place at our annual Mother’s Day brunch. Forty mothers from all different walks of life gathered together to celebrate motherhood. The afternoon started with our mom’s trivia game, guest paired in groups, and had the task to name their team. The names showed just how unique our moms are, there was the Detroit Divas, Fab Five, Natural beauties, Glam, and more. After brunch we enjoyed our fabulous speaker, Janice Cosby. Janice is the mother of two, Chief Marketing Director of Ascension Michigan, and is unapologetically fabulous. Our topic this year was, ‘being CHIC in your career’! To understand the energy in this room you just had to be there, but for now we’ll try our best to relive that energy here. “There’s no one else in this world I want to be like, but myself.” Remarked Janice Cosby. Authenticity always win.” In others words be the best version of you that you can be. Put your best foot forward and be your true self. It’s uncomfortable trying to be like someone, and you’re truly doing yourself a disservice. You’re unique, you’re you. Don’t hide that person. Respect the people that are willing to help you. Ohh! Good one. We all have someone in our corner, despite the world mantra’s “Look out for yourself” this may not always be the case. There’s someone in your life rooting for you, wanting to see you succeed. Once you recognize that person, do yourself a favor and please respect that individual. Don’t try to cut corners, or go behind someone’s back. In other’s words, “don’t bite the hand that feeds you! Dress for success. You’re always on an interview, even if you already have the job. Someone is always watching. Don’t make the mistake to think you don’t have to dress the part. Janice even went into detail about showing our tattoos, skirts too short, and etc. Yes, ladies this matters. I know we’re living in a freer world, but we can’t get away from that fact, that people judge you by what they see. Find the person you want to be like, and find the person you don’t want to be like. You can learn from both. I have been fortunate to have found both. Notice the differences between the two, jot down reasons you inspire to be like that person, also jot down the reason you don’t want to be like the other. When it boils down to it, it will have a lot to do with your values. Be heard. Speak up, and add value. Attend meetings and add value, include your input if it could strengthen your company and your role. Be attentive, do your research, show up, and give it your all. Do your work and do it well! People remember those who add value. Period. Know what you want and go for it. You’re in charge of your career and your destiny, it’s not the other way around. You decide your path, your roles, and yes ladies even your pay!! (men have been doing it for years!) Take charge, and go for it. Don’t alter your plans because of fear, find a way and make it happen. It all starts with you making the decision to basically go hard or go home! The real world is not for softies, it’s for determined fearless people, they say you can’t stop a woman with a plan. What’s your plan ladies? Speaking of a plan, don’t be afraid to move to further your career, if you have the means to do so. Janice spoke on how the trajectory of her career shifted when she decided to move for a better opportunity. Don’t get stuck, if opportunity awaits you elsewhere, you better get to getting! When in doubt ask! Janice talked about how she was denied a position, because she was told she didn’t fit the role. Well that wasn’t good enough for her, so what did she do? She called back and asked the director to take another look at her resume. Guess what happens next, yes, she got that job. We hear no so much that we’re almost immune to it. We can’t cut ourselves short, especially when we know we're qualified. Don’t bombard but do question if doubt enters your soul, we know the feeling, pay attention to that feeling, and act upon it. And if you're an entrepreneur keep going, don't take no for an answer, find your own path and strut it with confidence and class. Find you a mentor. Someone who will take you under their wings, teach and coach you at the same time. Mentors pay off, find someone in your desired career or entrepreneurial field. Find a company that offers work, life, balance. Yes these companies do exist. If you need to work from home a couple days a week, find a company that offers this, or ask your employer. You don't know until you ask. Working till you're blue in the face isn't healthy for anyone, even the striving entrepreneur. You must find a way to juggle your work life, home life, and your personal life. We like that Janice spoke on balance in this sense that it's never really ever a complete balance. There will be times when work requires more, and times when it home requires more of your attention, the key is to never get to far away from the other. Never get too focused on work that you forget home. Find a way to structure balance in your life. Rather it's setting Fridays for family day (this is my go-to), limiting phone usage at home, or taking your work email off your phone, if it doesn't affect your work. Balance is no one size fits all. You have to find your own sweet spot. We had an amazing time, Janice was phenomenal, the attendees were amazing, and the vibe was perfect. No literally it was perfect. We awarded Taylor, as our single mother recipient for defeating opposition in her personal journey, as a single mom, while continuing to strive for her goals. Taylor started her mother’s day weekend as a graduate. YES!!! Taylor was awarded a mother’s day basket filled with goodies from local businesses from our hometown, including The LipBar, Detroit Rock City, Trinkets and Such, The Luxe Touch , Bare Skin Detroit and more.. This was Taylor's first time at our CHICmom outings, she enjoyed herself so much, she just recently became a CHICmom. Welcome to the community! Attendees left with a mom swag bag sponsored by Sweet Candle Company, which included CHIC miniature candles that smelled amazing!!!! And treats from Fruitful Fudge which tasted delicious. We had a blast, until we meet again! I love two seasons—spring and fall. That’s when you have to be creative. Summer staples are easy—you’re trying to keep cool. Winter is all about layers—keeping warm. But the unknowns of spring weather can make transitional styling tricky. So what’s “hot” for me for spring? Bomber jackets are still it for me, but I’m steering clear of the satin, patches, and quilted versions for spring. A crepe bomber with a silk lining in a soft color like blush pink, peach, can be paired with jeans, pencil or flowy skirt. When the weather cools in the evening, I lightly layer a vest over it and keep going throughout the day! Another spring trend I am loving is tops and blouses with details. I have slowly been moving toward a more minimalist wardrobe but I love to wear pieces that have really interesting details. I love all the ruffles, bows, and really interesting sleeves that I am seeing! A great way to add some spice to wardrobe staples. It’s all about dainty tops for spring! Here are a few of my favorites! And you have to be ready for all the up and down weather with a great trench coat! Classic or Trendy works!! So, you're transitioning your hair to natural hair…or perhaps you’re a seasoned Naturalista who has hit a growth plateau. We all go through this period and most times there is some inconsistency in your routine that causes your growth to slow. No matter the stage you may be in, we all have three common goals we are trying to accomplish. These goals include one defeating breakage, two promoting growth, and three retaining this growth. Sounds easy huh? Well it can be. It is a common belief that going natural is low-maintenance but it can be very time consuming if you don’t have a set of rules to follow to obtain a goal you set for yourself. Common personal goals maybe a certain length. Whether its shoulder-length, bra-strap length, or waist-length these all can be achieved. Hopefully this list of commandments can be an outline for my readers on what to do and what to stray away from. I encourage you to take this outline and do your own research and specialize it to your needs and goals. In addition, this list is suitable for the whole family. With my family, I use the same outline for both my daughter and son and it makes everyone’s hair so much more manageable. 1. Moisture is not only important but a necessary key to keeping textured hair healthy and manageable. I could not express how important this commandment is. MAJOR KEY ALERT!!! Moisture is critical for the growth and retention of hair. The scalp naturally produces its own lubrication or natural oils that travel down the shaft of the hair. However, the more wavy or curly the hair the harder it is for this lubrication to travel down the hair shaft to the more fragile ends of the hair. The cuticle, or the outer protective layer, whose purpose to shield the hair and keep moisture in also plays a role in luster and health of your hair. The healthier the hair the closer the cuticle’s shingles are to each other, therefore, the more moisture can be trapped inside. For naturals because the hair is so textured moisture must be added. For both children and adults I recommend adding moisture after washing and conditioning the hair and also styling. My children and I both use the LOC (Leave-in, Oil, and Crème) method when added moisture to our wet hair. When hair is wet the cuticle is open so added moisture can be passed into the strand freely. I normally part hair into four sections and add first leave-in via a spray and finger through each section. Second I seal moisture into the cuticle and add luster by applying a sealant oil to each section. These oils are vital to keeping ends and hair moisturized when the hair dries. My favorite is pure Almond oil but other options are mineral, shea, jojoba, and grapeseed oil. Lastly I add a crème to each section spreading by rubbing from root to tip. With my son I follow these same steps minus the parting hair into sections. Moisture doesn’t need to be added daily if applied correctly. 2. Trims save lives. Although most times we hate seeing that precious hair hit the floor it is vital to retaining the length we have. I like to envision hair strands as a rope. The ends of the rope are strayed and often unravel. This is much like hair ends that inevitably become split eventually. This is because the further from the root the more damaged hair becomes. If these ends are not cut off or trimmed these splits can travel further up the hair just like a rope unraveling. We are all different, therefore, I don’t believe I could give any person a timeline on when or how much to cut off your perspective heads. However, I do recommend that you trim your hair at some consistent rate. I normally trim my hair every 4 to 5 months and occasionally I dust my hair in-between. Dusting is the act of going through your hair while dry finding and cutting small double strand knots or straight noticeably damaged areas. Children (bless their little hearts) are different. Like a rope once you cut off that end it will unravel eventually. I waited until my daughter was 4 to trim her cut. I chose this age because I observed that her hair had matured enough where it was set in its own growth cycle and growing constantly. Also at this age her hair began to get small knots at the end that would snap when I combed through her hair. I only trim her hair about once a year. This may vary by child. However, I don’t believe small children need their hair trimmed as often as an adult or even a young adult. 3. “You get out what you put in.” We’ve all heard the saying “abs are made in the kitchen.” Well that truth also applies to healthy, shiny hair as well. The foods we eat play a major role in our hair growth, retention, or lack of. There are foods, many refer to as superfoods, that help revitalize hair by sending much need vitamins to the hair follicles. Foods such as Salmon (rich in Omega 3s, protein, iron, and fatty acids), Almonds (packed with vitamin E and fatty acids), Eggs (rich in protein), Mangoes and Yellow Pepper (rich in Vitamin C). These foods increase important vitamins and proteins such as Keratin, Biotin, and collagen. I often have people stop me on the street to compliment my daughter on her shiny, thick, curls and I always say the same thing. “Thirty percent is product, thirty percent is care, and forty percent is food and vitamins.” We consume each of these superfoods once a week at least. Vitamins also can help hair achieve these goals. There are many vitamins that are now available that increase keratin, biotin, vitamin E, and collagen levels in the body to promote healthy hair. However, not all vitamins are created equal. Try to find vitamins that are organic, wholefood, and green. It is easier for the body to absorb these types of vitamins than synthetic ones. 4. The less tension the better. This one is an easy one. Hair along the hairline at the front and nape of the head is much more delicate than hair at the crown. Therefore, this hair shouldn’t be pulled excessively tight to prevent breakage or hair loss. If a style feels too tight or causes these areas to hurt, or bump up you should take it down immediately. Also, if the hair is worn pulled back or braided for days it is recommended that you massage these areas with a scalp oil to increase blood flow. 5. Detangling hair should be a process. When detangling hair especially a child’s hair it is important to take your time. I always do a three-step process. First separate the hair into sections so the area I’m detangling is small. Second, finger comb these sections. Finger combing allows you the carefully and gently identify problem areas and neutralize them. Finally, I use a wide toothed comb to comb through the sections, starting with the ends first. This will minimize breakage which helps retain growth. 6. Protective styling is your friend. Protective styles such as braids, twists, and buns allow ends a break from constant manipulation. The more you manipulate your hair the more damage will occur. Protective styles can be worn for a week or sometimes even a month depending on the style. I normally do buns frequently to keep my ends tucked under. I also try to do plait braids or twists once a month for a full week. These is perfect for little ones also. Not only does it save you time styling hair, but also a headache of taming their hair while getting them to stay still. There are seasons such as winter and summer where protective styles are vital to keep hair safe from drying cold temperatures or scorching UV rays. 7. Deep conditioning every wash with protein treatments up to once a month. Three years ago I noticed my hair felt and looked dry which caused it to shed excessively. I started to incorporate deep conditioning and immediately saw a complete turnaround. Deep conditioning allows heavy conditioners to enter the hair while the cuticle is open when wet and cover with a plastic cap. After a period of 10-20 minutes hair can then be detangled without fuss and rinsed with cool water. Protein also is applied this same way but less frequently. Fortifying hair with a balance of protein and moisture not only retains hair but also promotes growth and manageability. Protein treatments are best used after heat use while deep conditioning can combat daily pollutants, dryness, or just everyday styling. 8. NEVER use products with sulfates, parabens, or silicones. This rule is especially true if you have color-treated hair. Products with these components can dry out, and or dull color-treated hair which will cause damage. They leave hair rough and hard to manage. It is very recommended that you avoid these. I don’t even use them in my children’s hair. There is also research that supports that products containing one or more of these are bad for skin also and can affect conditions such as eczema. 9. Protect your hair at night. I always sleep with my hair protected and so do both my children. I bought my daughter her first bonnet before she was even one and my son slept on satin sheets nightly. It is common for babies to lose hair on the back of their heads after birth mostly due to fragile soft hair being rubbed off while sleeping. Protecting your hair with either a satin bonnet, pillowcase or scarf is both important and necessary whether your hair is natural or chemically treated. It prevents hair from drying out and or being damaged from sheets. So, invest in one option to keep your hair soft, shiny, and protected at night. 10. LOVE YOUR HAIR!!! It’s the hair you were born with so love it with all its flaws and imperfections. Living in a social media age is not easy. We constantly find ourselves comparing our physical appearances with others. I urge you to live in your own truth. Try to achieve the healthiest version of your own hair. I found myself becoming very critical of my own hair when I began transitioning because of this. It is ok to look to others for tips, advice, or style ideas but do not diminish what you currently have. Our hair is beautifully unique so embrace that. I believe as mothers during these age, this a truth we must teach our daughters. Children today are bombarded with visuals of what society considers beautiful. We must set our own standards in our own homes that allow our beautiful babies a feeling of security, and pride in themselves. Mamas in Business- CHIC Notes! For starters, I can't recall the last time I've been on a solo mission. Although it was only for one day, I usually call a close friend and say, "girl you're going with me." This time I asked hubby if he would mind watching the children for a day, once he said yes, my flight and hotel were booked! Still, I was a little nervous because I wasn't going to be in my comfort zone, but I pulled up my big girl underwear and did it! I'm here for women supporting women, I'm not quite sure why it's so hard to do, but when I see it done well, my heart is happy. Speaking of supporting other women, heading to the airport I grabbed my handy "Then God Made Women" tote. ( Can you say perfect to carry your laptop, outfit, and other necessities for a quick trip, and no bag check!) Threw my notebook and pen that I received for my birthday in the bag and I was ready to go! Once I arrived the vibe was so refreshing, I met some really cool ladies at check-in and they became my stranger-friends. We sat next to each other, swamped instagram accounts (the new business cards) and come to find out, I just made stranger-friends with a fashion designer who happens to have a CHIC fashion brand (yes Girl power!). I had such a great time. Everything was confirmation for the direction of CHICmom. I met the lovely Melanie Marie, the hostess of the afternoon, lifestyle blogger, and jewelry designer. Lastly, once the event was over, I had pretty elaborate plans to navigate through the city, and have fine dining alone. Welp! I ended up in my hotel room by 8pm, (I did find time for shopping lol) In the bed, ordered room service, (that was expensive for no reason) and watched a movie (can you say peaceful me time!) Until next time. Spring is finally here! I'm so over the cold and I'm really anticipating the warm weather! Plus, I'm excited to start a new journey this year...gardening! So, in preparation for the April showers and May flowers, I'm forcing spring in my home with potted plant and adding cheerful color! If you've seen pictures of my home on my Instagram or my blog, you can pretty much come to the conclusion that I love neutral colors. But, around early March is usually the time of year where I start to add flowers and little color to my decor. The past couple of years, I've gotten most of my foliage from Ikea. They usually have a variety of plants at very reasonable prices. But, you can also find great foliage at Home Depot, Lowes, Joe Randazzo, and/or any local nursery you have in your area. 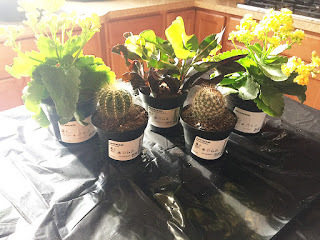 My plants of choice are succulents and cacti and anything with lots of green/neutral hues. 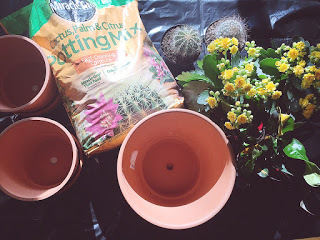 I love succulents because they are very forgiving and hard to kill (Click here to see care tips for Planting and Caring for Succulents). But, the goal here is to force those spring vibes with plants that bring YOU the most cheer. So, get flowers and plants that make you happy. With that said, let's get to forcing spring in our homes! The most important part of a potted plants is getting the correct soil for your plant. 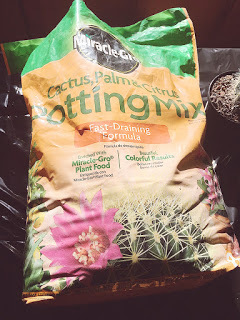 Succulents and cacti thrive in a soil mix that dries quickly. I got this bag from Home Depot. It was about $5. Next is picking the right pots. Since succulents love dry soil, a pot with a drainage hole his ideal to let any excess watering drain from the bottom to slow the soil to dry faster. I got these terra-cotta pots with drainage holes from Ikea. I bought 3 in two sizes (they look medium and small sized), and paid $7 and some change for all of them, including the drip tray. See, that's why I LOVE Ikea! Easy on the pocket book! And last but not least, the plants. 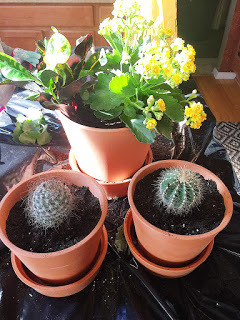 I got 2 kalanchoes (on each end with yellow blooms), 2 cacti (in front) and himalayamix (middle plant with green, yellow and red leaves). Make sure your plants will thrive in the soil you have. And also, if you combine a few in a pot, make sure they can all "live" together. Meaning they have the same sun, watering, temperature and soil requirements. I plan to pot my kalanchoe's and himalaymix in the same pot because they all have the same requirements. Now with all of your supplies on hand.. Put your plants in the pots to your heart's desire. This is a great activity to get the babies involved. My girls loved playing in the dirt. I had these decorative rocks on hand, so I decided to use them to hide the dirt in the cacti. I even get my babies in on the action. I got these two flower kits from the Target Dollar spot. They were only $3 each. All of the materials come in the kit: dirt, seeds and you use the carton to plant the seeds in. They had a ball planting their seeds. Now put all of your spring inspiration on display in your home in anticipation of the upcoming season! Candice Briggs is the mother of two beautiful little girls, a wife and has a solid foundation of faith in God and Jesus Christ. Besides my family, I find happiness in woodworking and interior decorating with timeless decor items that are budget friendly. I truly enjoy building our house into a home and helping others do the same. Before you read this blog please know that this is in no way shape or form a plea for attention. This is my story. For months and I do mean months, life has been a question for me. You know you're getting older when you suddenly start seeing people leaving this place day in and day out. I start questioning my meaning. Here I am leading an organization of mothers and still inside I felt I wasn't doing enough. I don't know if I would say I was depressed but I wasn't happy. I wasn't on the floor crying, I wasn't hiding, I was maintaining, still going to work, still managing my organization, still being a mother, still being a wife, but something wasn't right. I told a close friend and she said, ok, let's fast! So we did. It helped, but my heart was hurting and I didn't know why.. Have you ever been here? 1. I stopped measuring my life by social media. My life mattered rather I posted it or not. My organization mattered rather I have one like or a million. I said God I'm doing good work, it makes me happy, I'm having fun with it. So just let that be it FUN! Everything is not a business, everything is not a goal, everything is not a mission, sometimes things just makes our soul happy and God can figure out the rest. Yep! I went back to my original purpose with the organization and I took the pressure off to be liked. Now when I post an event, I'm confident that it will motivate and inspire someone and it can be just me and my mom. Who cares?! I'm not in it for the fame, I'm in it for the love. 2. I stop hating. Yeah you heard me. I stop secretly being jealous of all the girl bosses out here, instead I say, "you go girl"! Now I'm collaborating with like-minded organizations , working together and helping others, and it's fun!!! I don't force relationships, if it works it does, if it doesn't, much success to you. It's something about being happy for others that heals your heart. More collaborating, less competition. 4. I stopped measuring up my friends. Yep. I stopped thinking that my friends and their level of support is measured upon the value of our friendship. I have different friends for different things. And yes that's ok. I threw those expectations out the window. I had crazy expectations. This doesn't mean that I stopped counting on them in the time of need. It means I realized we all have lives, we all have struggles, and you just might can't make everything. Hey but you still love me. You're still come running if I'm in dire need. You'll still answer the phone on a rough night. I stop making people and friends my life line. I saved that for GOD. 5. I realized my story is just that MY story. I don't have to be Beyonce, or anybody. I am Jessica Marie Byrd. Say it loud lol. I am me, my journey, my story, my life, my purpose, my household, my everything isn't identical to anyone else's. And that's just that! 6. I forgave myself. Man I was so darn hard on myself. Like seriously. Like listen Jessica you're only 30 chill, you'll be 31 in two weeks, Girl you're doing your thang:) Insert love. Love on yourself! I also forgave myself for things that didn't work, thoughts that weren't pure, mistakes I made, you get the gist. 8. I stop thinking people own me anything. Listen no one owes you anything. For some strange reason I start thinking people owe me things, rather that meant their time, their support, their encouragement, or whatever. I kept getting disappointed and it kept shattering my thoughts. I finally said, "Girl no one owes you anything"!, except my parents, like what?! They better support, oh and my hubby too. Wait nevermind. lol But seriously, the best you can do is work your tail off, work on you goals and the rest will follow. You do your part by sowing your seed, let God handle the harvest. 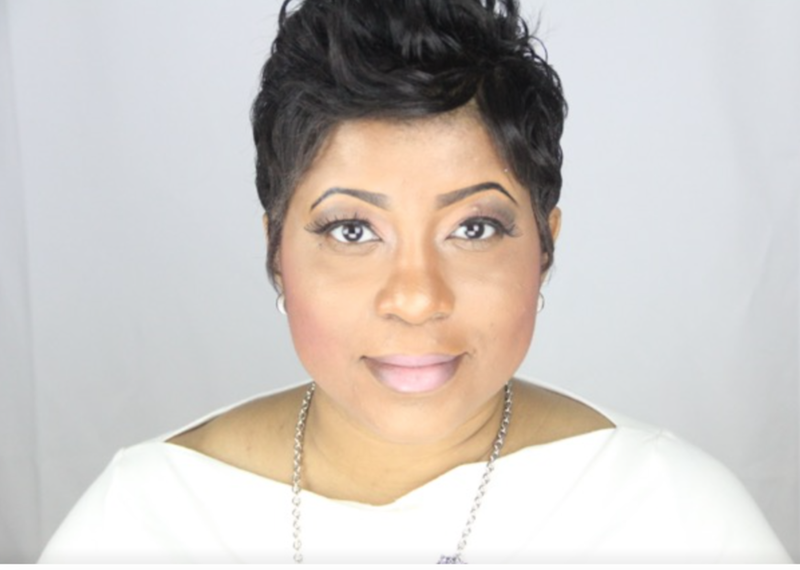 Jessica Byrd is the Founder and Executive Director of CHICmom Organization. Jessica believes in inspiring others through personal testimonies, and helping mothers be the best they can be inside and outside the household. Jessica is the mother of a three and four year old, wife, and career mom, striving to live a life on purpose. Transform one outfit + My obsession with navy is real! So I am obsessed with a lot of things. You'll see me post often about what I’m obsessing over. But my love for Old Navy is real (lol). I probably need to stop using the expression. But it is. I browse weekly to get ready for those bomb sales. I love to shock people and tell them an outfit is from Old Navy. The way my budget is setup I have been challenging myself to either shop my closet or keep my entire outfit $50 and under. One day as I was l walking around the store (my way to decompress after a hard week). I saw the pixie pant display (educator necessity). I wondered if I could put something together for an upcoming event. Enter the floral print pixie pant. The shirt and pants on display were regular price, but I decided to check the price online to see if it was the same. I saw online that they were on sale!!! Can you say PRICE MATCH!!! While checking out I asked the manager if she would match the price online and she agreed. The ruffle sleeve shirt was on sale. So with the price match and the shirt being on the clearance I ended up spending $45. Now finding the outfit $50 and under is half the battle. But I always try to think of ways to #FlexMyFinds. That means when I buy something, there has to be at least two ways to transition the outfit into my busy life with three boys, full-time job, and a husband! For my look I paired the pants with a denim jacket to break up the print and added a neutral heel for drink with friends. But there are other ways to wear this print with items you already have in your closet! You can easily wear these pants to work by adding a denim shirt and these super cute flats from the Gap. After work freshen your makeup + a pair of ombre pumps + sitter will take you to drinks with your boo. The pants transition right to activities and errands on the weekend by adding a pair of sneakers that match one of the colors in the pants + a grande caramel mocha or smoothie (if you’re into that healthy stuff, lol). See that! We have one pair of pants and three outfits that can actually take you through one busy day or if you’re like me I would probably wear all three outfits in one week. The great thing is you probably have all of these items in your closet to create two more outfits. Please comment and tell me how you #FlexYourFinds or ask a style question! Til next time, dolls! Have a great week!